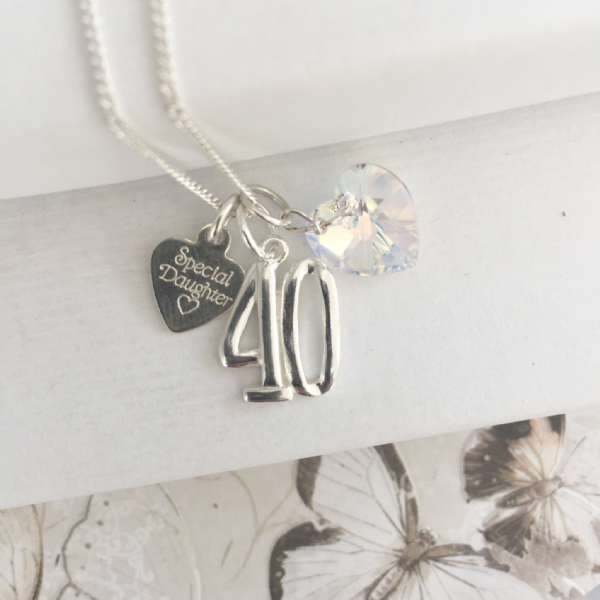 Removable charms: The charms can be worn together as shown or worn seperately, making a truly versatile 40th birthday jewellery gift. The sterling silver chain on our 40th birthday necklaces is available in 16" / 18" length on silver box chain or silver curb chain. 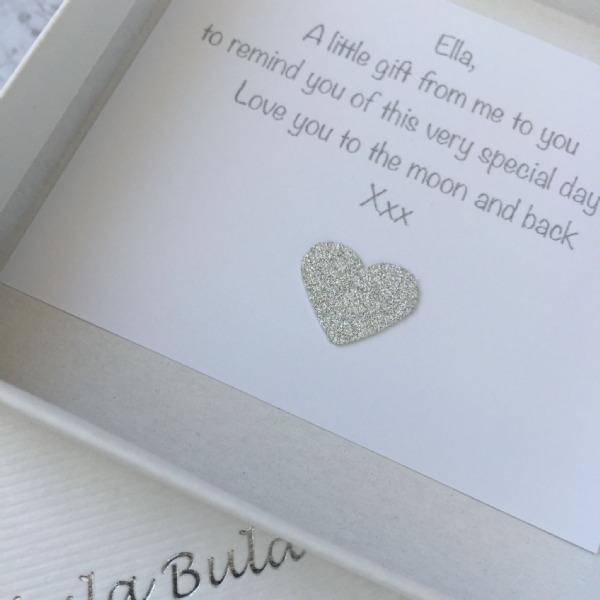 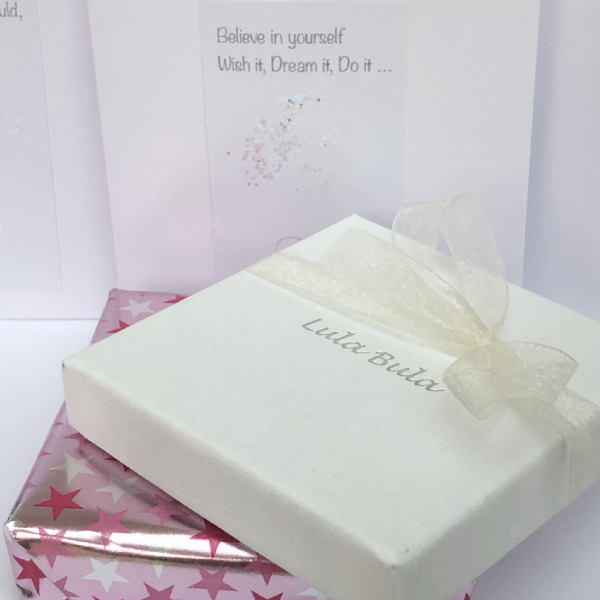 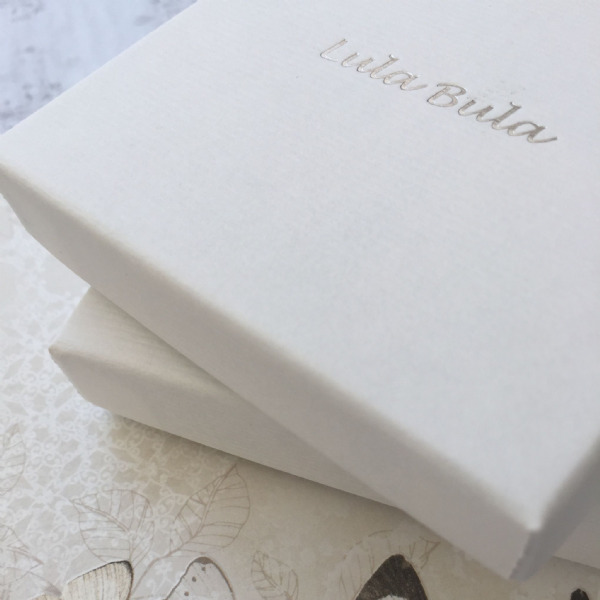 40th birthday jewellery gift engraving service: We can also engrave names / dates / message of your choice on the back of the tag (maximum 50 characters) at an additional charge of £7.50.